Colorful, zippy, precise, iridescent, swift. 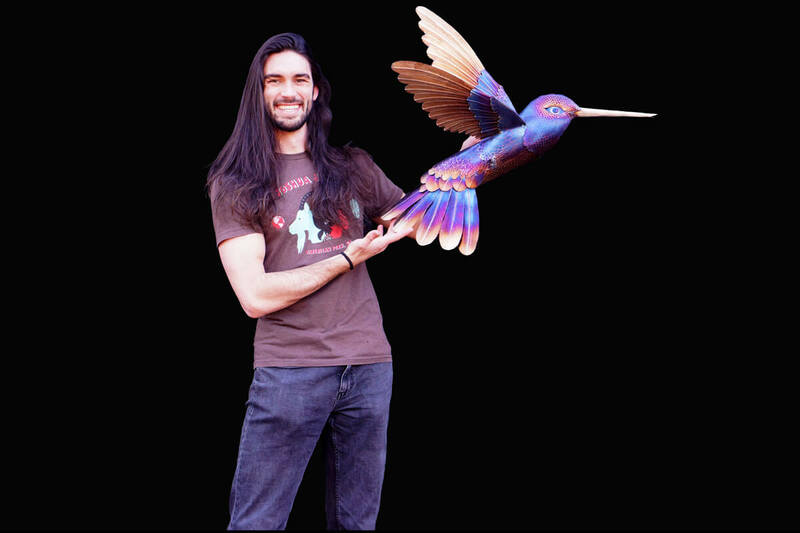 This wall hanging hummingbird sculpture is made entirely of stainless steel. Colored using various torches. 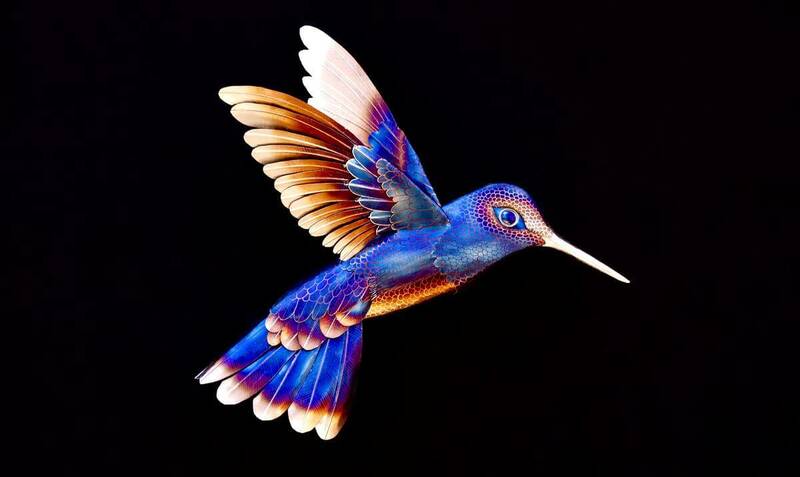 I have been wanting to make a hummingbird for quite some time. 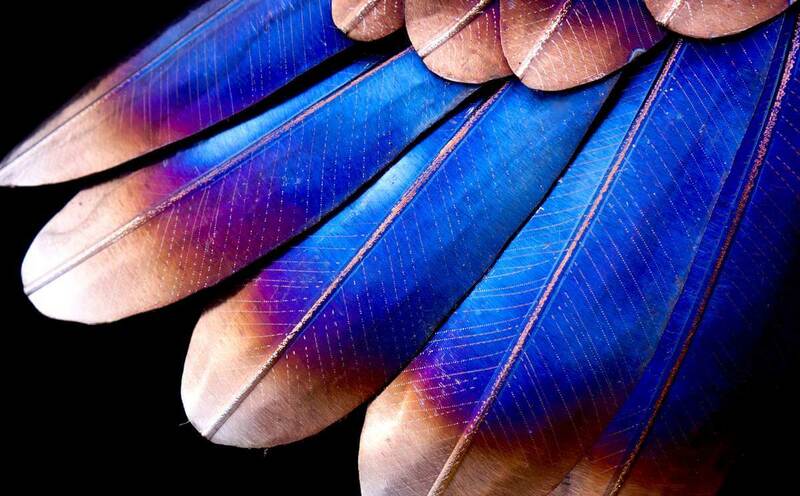 I have always been fascinated by them and found their colorful plumage incredibly beautiful. 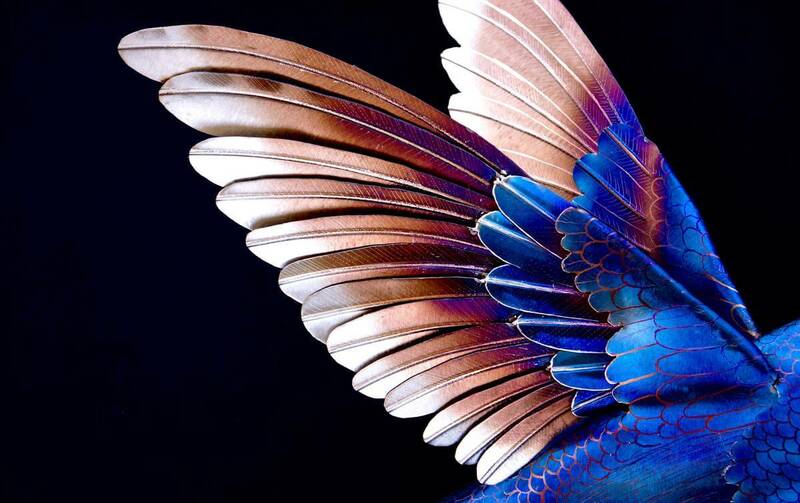 They are so intricate and delicate fly with such precision and grace. It was fun to get in there with my pencil grinder and draw in all the little feathers. 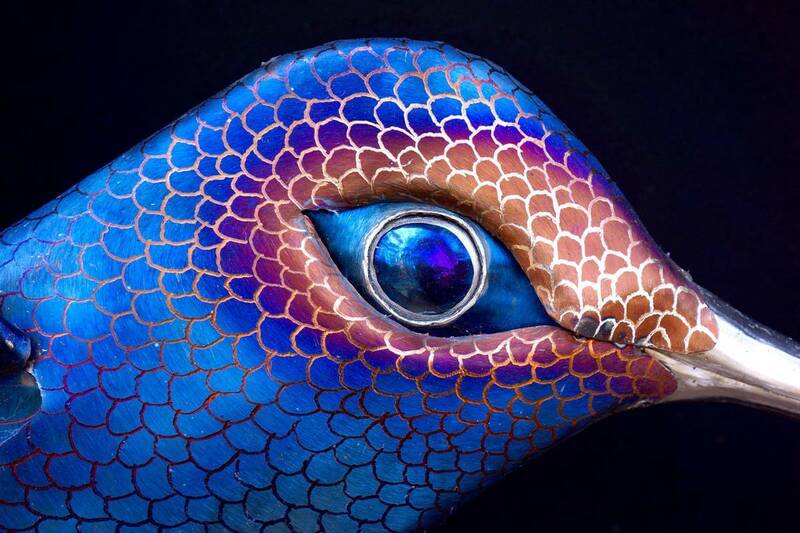 Designing this bird was certainly a challenge as compound curves are very difficult with stainless. So I had to find a way to create separate pieces that overlapped in a way the felt seamless. Overall I love how this sculpture turned out. I later redesigned this sculpture to be smaller for a client. So I have two sizes available. See below for sizes. This sculpture is completely safe to be kept outdoors! 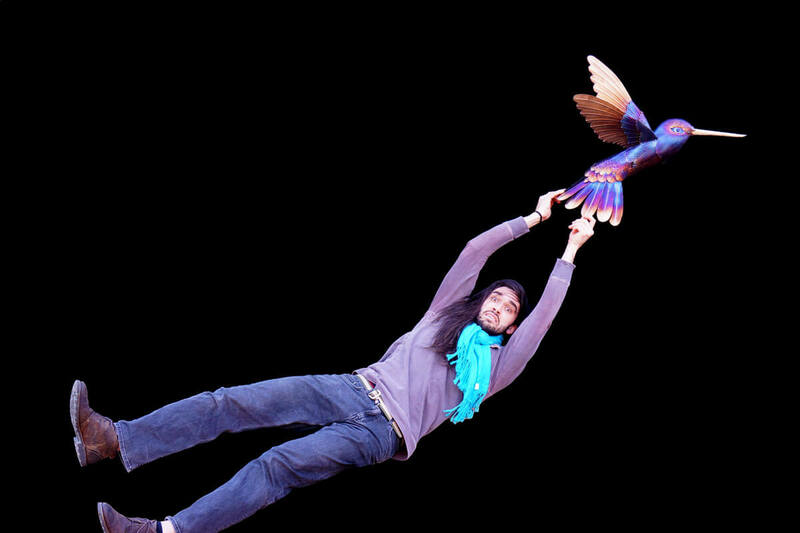 Artist Aiden Dale wrestles his metal hummingbird sculpture trying to keep it from escaping! 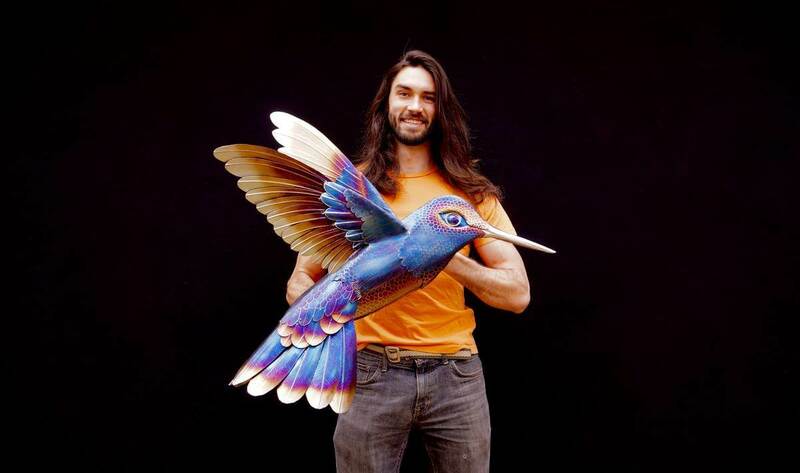 Artist Aiden Dale with smaller hummingbird sculpture. 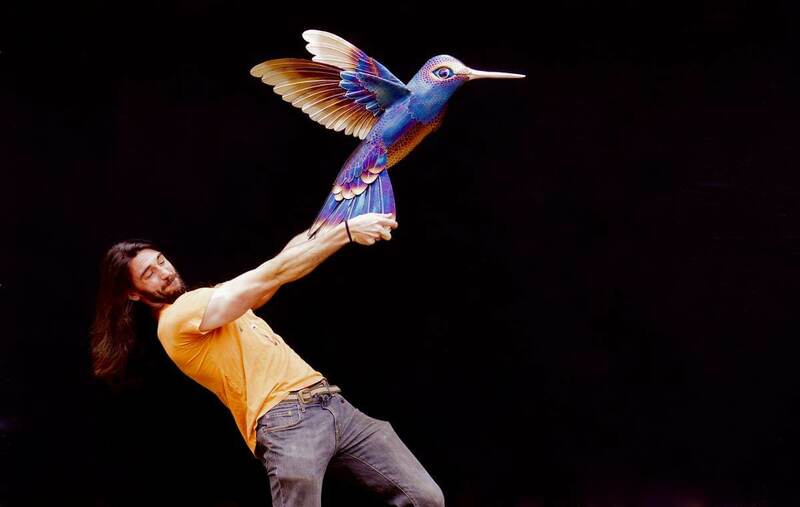 Small hummingbirds are still surprisingly strong!